NEW Iridium 9555 satellite phone works anywhere on Earth and provides the most reliable voice and data satellite service in remote areas. You can choose an Iridium plan according to your needs, budget and region of use. No monthly fees, no credit checks, no deposits! Review the plans below and pick one on top of this page. GLOBAL PLAN. The Global Plan features one flat rate for the entire coverage area. The most popular choice is the Global 500-min plan with 12 months of validity. If you expect to use your phone extensively, we suggest that you consider 3000- or 5000-min plans with rates per minute accordingly 32% and 37% lower. The Global plan can be refilled with any voucher as often and as many times as necessary. All unused minutes will be rolled over to the new voucher, provided the new voucher is refilled before expiration date of the previous one. *The 75-min plan has a one-time $55 activation fee, total $199 for a new account. The Tech-Go Handheld Satellite Phone provides ability to make and receive calls from anywhere in the world. Coverage is available planet-wide and you must be outside to use it with line-of-sight to the sky. Due to innovative design, you merely raise the antenna to make and receive calls. Voice quality is good (similar to analog cellular service) with a .75 second delay and we recommend you speak clearly into the unit. Although this is the best handheld global service available, it is common to have dropped calls in or out after 10 to 20 minutes - If you need to make longer calls and the best voice quality available and longer call duration, you can review the larger and more powerful units below. Phone includes incoming phone number and voicemail with indicator which aids in situations where the phone does not ring due to low signal strength. Due to rotation of satellites, incoming calls will not always ring the phone, but caller may leave voicemail for callback. The Tech-Go Handheld Satellite Phone is an ideal communication tool for travelers who need the most portable and economical solution. Good voice quality with .50 to second delay. Data Capable USB cable (requires Windows) - 2400 core throughput, compression agent increases average speed to 9600+ baud. Purchase for $1499 which includes phone, battery, Wall and Car Charger. Includes USA phone number for incoming calls and incoming text messaging for free. Outgoing Text available for small fee per message. Incoming Calls directly to Satellite number are free to owner of phone, however caller will be charged very high rates by their long distance carrier ($4 to $12 a minute average). You can also rent Satellite phones for only $39 a week and up. Outgoing Calls cost $1.25 to $1.50 a minute outgoing to anywhere which includes all charges! 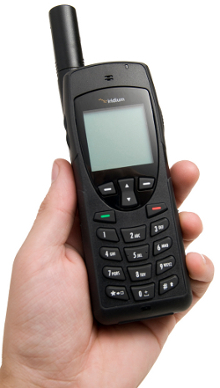 The Tech-Go Satellite Phone provides access to the international dial-up telephone, fax and data networks. 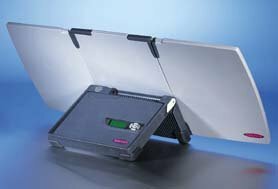 The elegant custom designed case contains antenna and RF in the lid, and the phone unit in the base. The equipment is designed for quick and reliable operation under all conditions. The Tech-Go Satellite Phone is an ideal communication tool for business travelers and field workers. Covers 98% of the surface of the planet! 3 hours talk time, 50 hours standby. 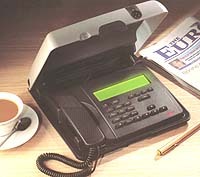 Additional outlets for telephone and fax. Water resistant phone for outdoor use. Rechargeable NiMh battery and charger integrated in phone. Usage costs $3 a minute incoming or outgoing worldwide. CURRENT SPECIAL - No monthly fees or minimums! User friendly backlit LCD display with 64x240 dots (8x40 characters). Menu select, cursor keys and four softkeys. Built-in user friendly phone book. Cordless phone included for convenient wireless portability. Usage costs: Voice $3 a minute incoming or outgoing worldwide.